I have to admit I have never had much luck with making a good dill pickle that stays crispy like my Grandmother did. But what I can make is a great no-fuss, no-canning pickle that I just had to share! I got a question last week from a reader asking “How to make pickles without canning?” So over the weekend I made a batch with the last of our pickling cucumbers to show her how simple they are to make. 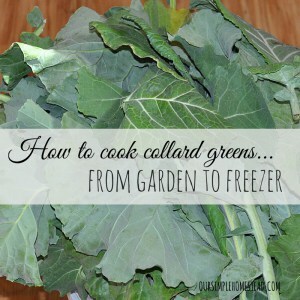 You are going to love how simple this recipe is! Step #1 – Wash 14 – 4 to 5 inch pickling cucumbers and 2 medium sweet onions. Step #2 – Slice cucumbers into 1/4 inch slices and peel and slice onions. Step #3 – In a clean one-gallon glass jar layer onions and cucumbers until the jar is filled. Step #4 – In a large stock pot mix 4 1/2 cups of cider vinegar, 3 cups of water, 3 cups of sugar, 2 tablespoons of dill seed, 9 tablespoons of coarse kosher salt and 9 tablespoons of pickling spice. 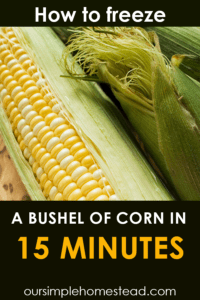 Bring to a boil until sugar is dissolved, turn down heat and simmer for 5 minutes. Step #6 – Ladle pickle brine over layered cucumbers and onion. 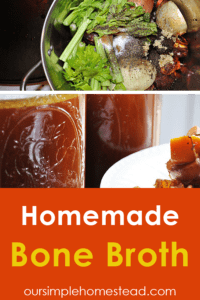 Once the brine has cooled, add lid and refrigerate for one week. The longer they sit the better they are. I have kept the jar in the refrigerator for 3 to 4 weeks after their sitting period, but they usually don’t last that long in my house. 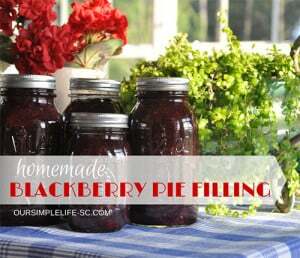 Are you new to canning or just want to learn how you can save money and preserve your own food? 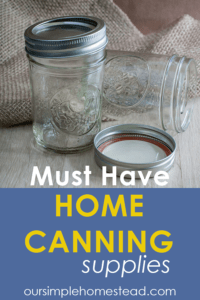 I highly recommend At Home Canning for Beginners & Beyond. 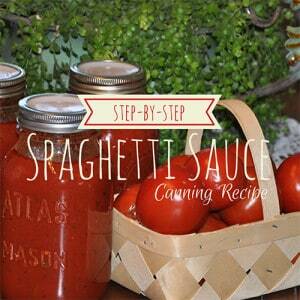 Click here to visit At Home Canning For Beginners and Beyond. An easy no-fuss, no-canny refrigerator pickle. Wash and slice cucumbers and onions in 1/4 inch slices. Layer cucumbers and onions in a gallon size glass jar. In a large stock pot mix, vinegar, sugar, salt, water, dill seed, and spices. Bring brine to a boil until sugar is dissolved. Lower heat to a simmer and cook for 5 minutes. Ladle pickle brine over cucumbers and onions. Let cool before adding the lid to the jar. Store in the refrigerator for one week before eating. The longer they sit the better they are. Keeps for 4 weeks in the refrigerator. P.S. Do you like what you are reading? 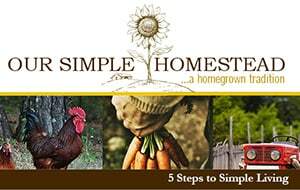 Join the homestead and homemaking movement and get some Our Simple Homestead inspiration delivered straight to your inbox! Sign up Now! How to Can Venison – Tender and Tasty! I’ve never made pickles before. Thanks for the great tutorial! They sound really good! 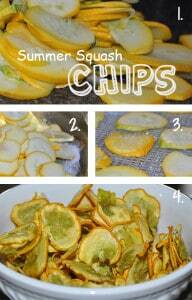 Michele they are the easiest pickles to make give them a try you can not mess them up. 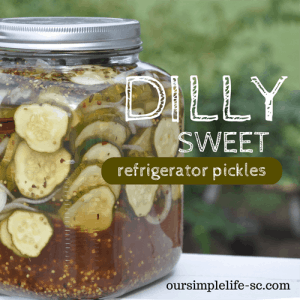 My family likes things sweet and these dill pickles have a slightly sweet taste and we love them. I cannot keep enough of them made in the summer time! 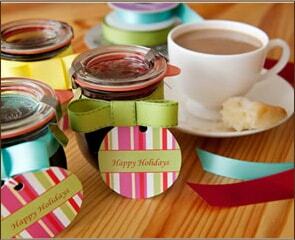 They are so simple and I can’t keep the jar filled! We can a ton of pickles every year but missed doing any last year. Your tutorial makes me excited to start this year. They look lovely! The print recipe says to add celery seed in #3 but there’s no mention of it in the ingredients list. then, in your step-by-step directions there’s no mention of it, also. Which one is it? I am so sorry it should only be 3 tablespoons of dill seed …no celery seed. I, inadvertently, put in celery seed, not thinking that the title of the recipe says, “dilly.” Duh! I’ll get it right next time. But, I took them to a church supper today and they were a hit. They were quite appealing to the eye as I had them in a clear, glass gallon jar once used for pickles. Thanks for the clarification, Tracy. We love them! My sister just gave me a recipe for Horseradish Pickles that would be great for a church supper as well. Take 1 gallon jar of dill pickles. Drain the juice off and chunk the pickles into bite-size cubes. Place all the cubed pickles back in the jar without the brine. Add 1 cup of sugar and one small jar or horseradish. Place lid on jar and turn upside down in the fridge. Turn each day for 3 days. The longer they sit the better they are. They are yummy and so simple to make for a special treat! Thanks so much for this recipe! It really looks delicious, and your pictures make it look super appealing and something I definitely want to try the next time I go for a pickling project. Thank you so much for sharing! They are the easiest pickles I’ve ever made and we make them every year and are sad when they are all gone from the pickle jar I keep in the fridge.